What would you say if I told you that for the next year you could eat nothing but pasta? Even if pasta is your favorite food and you love nothing more than an all-you-can-eat spaghetti dinner, eating only your favorite dish for a year straight would get pretty boring. Why? Because you need variety. The need for variety doesn’t only apply to meals, though. It’s important in writing too. 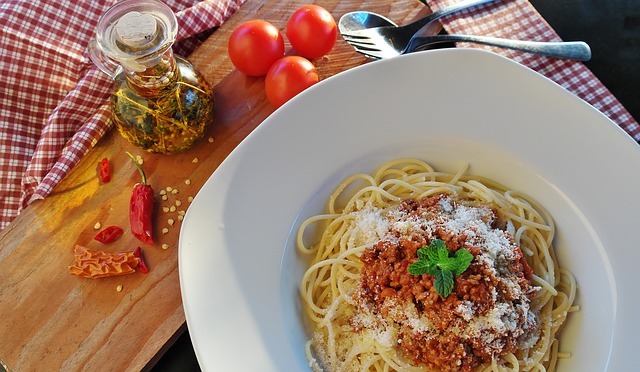 Because both spaghetti and writing can get a little messy, let’s grab some napkins and utensils (a fork and a spoon for the spaghetti and your preferred writing utensils for your upcoming essay) and talk about how to improve sentence variety in your essays. 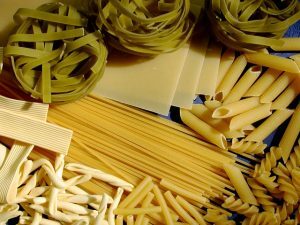 Even if you don’t love pasta, you probably know that pasta is full of variety: spaghetti, penne, fusilli, farfalle, rigatoni, linguine… the list seems endless. While each noodle is essentially made of the same ingredients, they’re all unique in shape, texture, and size. See, pasta is like an effective essay! Each sentence is made up of a string of words, but every sentence should be unique in structure, length, and style. When you’re writing an essay, mix it up a bit. Include a variety of long and short sentences, and vary sentence structures and openings. Include a variety of long and short sentences, and vary sentence structures and openings. This type of variety is important in your writing because it makes your writing easier to read. It also keeps readers interested. Need some evidence to convince you? I went to Pasta Land. I ordered spaghetti. It was delicious. Using only short, choppy sentences makes your writing sound unsophisticated and boring. No one wants to read a paper written like this. Yesterday, I went to Pasta Land for dinner to try their all-you-can-eat spaghetti super-special, and because I’m such a huge pasta lover, you know I had to order the spaghetti, and I did, and it was so over-the-top delicious that I just couldn’t believe it was only $12.99! Trying to catch your breath after reading that long, rambling sentence? Any reader would be. These long, winding sentences can become overwhelming, and readers can easily get lost trying to figure out the focus of the sentence. In other words, don’t go for extremes. Using only long, rambling sentences isn’t any better than using only short, choppy sentences. Need a little help finding the perfect balance? Check out the strategies below. Now that you have a better understanding of why sentence variety is important in your writing, take a look at these two strategies to improve sentence variety in your own essays. If all of your sentences are short, the writing sounds simplistic. If all of your sentences are too long, they become rambling and often unclear. Including a variety of sentence lengths in your essay keeps writing interesting and adds emphasis. Yesterday, Pasta Land had all-you-can-eat spaghetti for $12.99. Because I’m such a huge pasta fan, I had to try it at least once. It was delicious. I couldn’t believe the variety of choices and the amazing sauces. These sentences are varied in length to add interest. Notice that there is one short sentence: “It was delicious.” This sentence is intentionally short to add emphasis to the fact that the main point of the sentences is the taste of the meal. Yesterday, Pasta Land had all-you-can-eat spaghetti, and because I’m such a huge pasta fan, I had to try it at least once. It was a delicious meal with a large variety of choices and amazing sauces. The best part? It was only $12.99. If all of your sentences start the same, your writing becomes dull and repetitive. By varying sentence openings, you add rhythm and emphasis to your writing. I love lasagna. I could eat it every day. I would never grow tired of it. In this example, all of the sentences are short and begin with “I.” To revise, simply combine the ideas. I love lasagna so much that I could eat it every day and never grow tired of it. In this revision, the sentence still begins with “I.” But the ideas have been combined to create a compound sentence that’s much more engaging than the short, choppy sentences. It is important to choose the right sauce to complement your chosen pasta. It is necessary in order to find the perfect balance of flavor and texture. In this example, the sentences are longer, but they both begin with the “it is” and use the same sentence structure. In order to create more interesting writing and add emphasis, combine ideas and vary openings. In order to find the perfect balance of flavor and texture, it is important to choose the right sauce that will complement your pasta. Choosing the right sauce will complement your pasta and balance both flavor and texture. 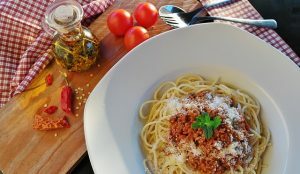 If you choose the right sauce, it will complement your pasta and will be the perfect balance of flavor and texture. To find the perfect complement to your pasta that will balance both flavor and texture, you must choose the right sauce. Notice that these revision suggestions all express the same general idea but place emphasis on different aspects of the sentence. 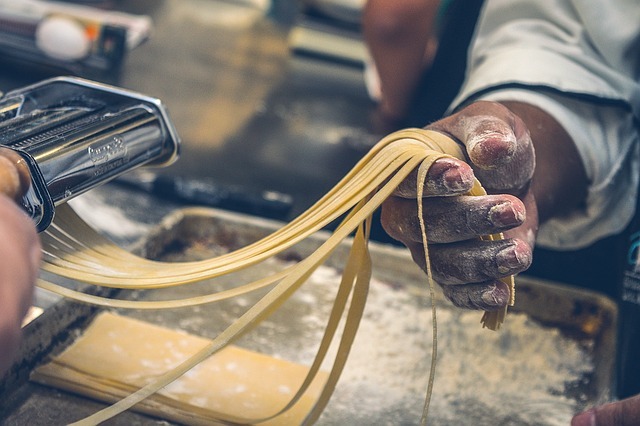 It takes plenty of practice to become a master chef capable of making the perfect noodle. Likewise, it takes plenty of practice to become an expert writer capable of creating the perfect sentence. While reading about how to become a better writer can be a huge help, you can also learn a lot about improving your own style by reading someone else’s work. Take a look at a few example essays about writing style, and take note of the sentence variety each writer uses. Did you also know Kibin has a variety of expert editors to help with your writing style and just about any other aspect of your writing? Send us your paper for helpful feedback.